Experts say online courses could be a lifeline in a competitive education and job market. 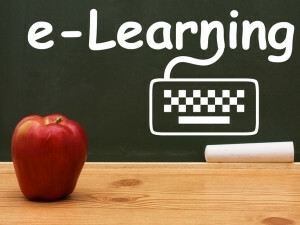 Few South African tertiary institutions offer Web-based learning programmes. Online courses offer a viable opportunity for students who might not secure a place in SA's tertiary institutions this year, according to education and recruitment experts. SA's universities cannot accommodate all 136 047 pupils who passed matric with exemption in 2013, but online courses could be useful for those with limited options. Sam Paddock, co-CEO of online education company GetSmarter, says the flexibility of Web-based studying allows students to tailor their learning experience. "One of the compelling reasons for matrics to take these courses is if they are wondering what to study," says Paddock. He describes the potential as "ideal", considering the short duration of the courses. GetSmarter partners with organisations to offer online courses on both a part- and full-time basis, but only one local university - the University of Cape Town (UCT) - currently offers online courses. Paddock says many tertiary institutions lack skills to implement online courses. "I think skills internally are inhibitive," says Paddock. "We provide those competencies." UCT works with GetSmarter to facilitate courses across five faculties, while INTEC College is also among South African institutions that offer Web-based learning. Programmes related to the ICT industry are widely available online and vary in duration and cost. A 10-week Internet marketing course through UCT costs R9 890, while INTEC's Online College courses range from R2 000 to R9 000. In contrast, first-year full-time Bachelor of Information Technology students at the University of Pretoria can expect to pay R45 670 this year. Computer science students at Wits would fork out R37 340, while their Rhodes counterparts can expect a fee of R37 600. Damelin College offers face-to-face short courses, while its full-time IT diploma costs R29 900. KC Makhubele, marketing executive at Quest Staffing Solutions, says online courses are just as viable in the job market as face-to-face studies. "What employers look at is whether or not it is a legitimate course - if it has a SAQA (South African Qualifications Authority) ID or NQF (National Qualifications Framework) level," says Makhubele. He adds that recruiters take steps to ensure international qualifications are also valid. "If you have a foreign qualification, we have to convert it to the SAQA equivalent," he says. While the job market might be unable to find placements for all candidates, Makhubele says school-leavers could seek learnership programmes in companies with a view to further their studies.